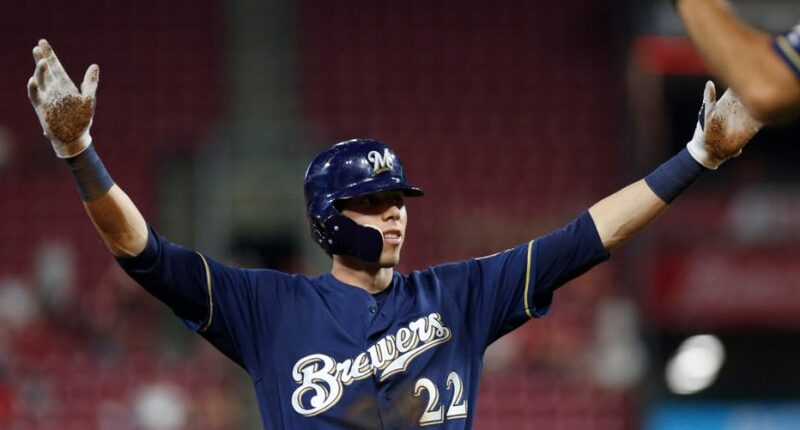 Yelich completed the cycle with a game-tying RBI triple, then added another infield single to go 6-for-6. That’s a remarkable showing by Yelich, and just part of what’s been a great season for him. The 26-year-old now has 26 home runs on the year, up from his previous career high of 21, and he’s now hitting .319/.380/.563 on the year. And he was a rather vital part of the Brewers’ eventual 13-12 win in 10 innings here, which improved their record to 74-60 and kept them in the wild-card hunt. Milwaukee is currently in wild-card position, battling with the 74-59 Cardinals and whoever doesn’t win the NL West between the Diamondbacks, Rockies and Dodgers (72-60, 72-60 and 72-61 respectively). And while the Brewers are five games back of the NL Central-leading Cubs, that’s not an insurmountable lead either. If Yelich keeps hitting the way he did Wednesday, they could be a real threat both in the run to the postseason and in the playoffs.